Why Are My Windows Getting Foggy? Winter is here and the outside temperatures have previously dropped to single digits. As a result, your heat probably has increased as well. When you look out from your window, have you noticed it might have gotten a little cloudy? This could be as simple as condensation just like what happens to your windshield in your car or it could be much more serious like the window seal has failed. 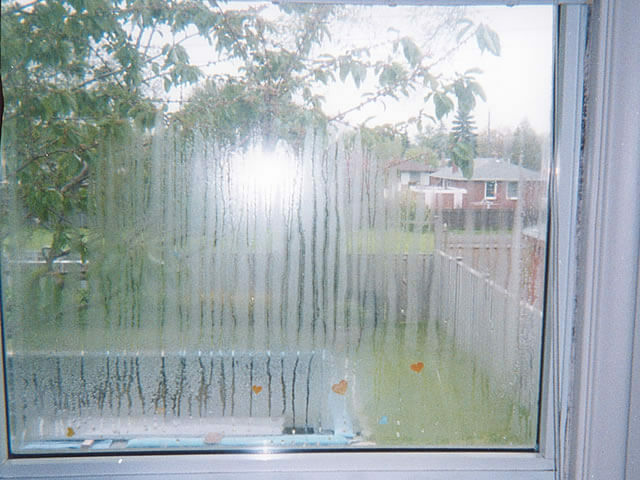 Condensation happens on glass surfaces often, especially in the New England area. On a cold day, people have the habit of turning up the heat inside their car or home. Condensation will get worse when the outside temperature is below the dew point of the indoor air. Inside your home, single pane windows or early built double-pane wood windows with aluminum spacers can experience condensation. This is due to the fact that single pane windows do not have any insulation and old double pane windows conduct heat from inside to the outside. If you have a double or triple pane window, the transfer of heat between the indoor and outdoor glass panes will be significantly reduced. If the fog appears between the glass, then, your window’s seal might be broken or failed. When that happens, your window will be permanently fogged and you will need to seek a professional for help. Although the seal failure rate is low, yet, when you have many windows in a home, it should not be a surprise that one or more windows failed. Today, the most energy-efficient windows are double pane or triple pane windows. The windows are energy efficient because of the application of argon and krypton, extra panes, and the use of coatings like Low-E. Not only will these elements minimize condensation but also lower your heating bills during the winter and cooling bills during the summer. However, if the seal has failed, cold air and warm air could get between the glass panes and that could lead to higher energy bills. If you need to repair your window’s broken seal, you should contact a professional window repair shop today like Atlantic Window Warehouse. We are the leading window seal repair shop in the Newburyport area. With our state of the art equipment, we can reseal your Thermopane windows to as good as new. Call us today at 978-465-9696 for a free quote and learn more.